Update (1/24 9:00am): @ericmata75 is our winner, thank you to everyone for entering our giveaway! The story goes, as told by co-founder Andrew Allen, that Paper by FiftyThree started out of a love for analog products. That four Microsoft colleagues turned friends with the resources of a Fortune 500 company found a greater passion in a pencil, scissors…and paper. Often Andew, Georg Petschnigg, Jonathan Harris and Julian Walker would sit down and discuss their ideas, talking about possibilities that bounced around in their heads. These brainstorming sessions would always be recorded on a scrap, or coffee filter, napkin or Moleskin, notably they weren’t writing in Word or the like – they were writing everything out. The feeling of analog products, the feel of cutting paper or dragging a pencil across paper. How do they bring that feeling to a digital world? It was at that point, they bunkered down in a 5th floor New York apartment and set out to re-imagine digital design. They set out to make Paper. At Microsoft, the now FiftyThree team worked on a variety of projects. Andrew told us that “for all the bad things said about Microsoft, it really is a great place to work.” Serving as a self-described “graduate school”, it provided a backdrop for what would eventually become an App of the Year and Apple Design Award Winner. Funny how that works out. The inspiration for Paper comes from a frustration with the digital creative process. In a world that has seen so much growth from a technological perspective, much of the design software world has remained largely stagnant. There is a certain joy in hearing Andrew Allen tell the story of Paper’s beginnings. Leaving the solid ground of a large company and spending days and nights on end, working at the kitchen table developing a product worth being proud of. The initial design process took roughly eight months, from conception to a true working model. In the beginning, there were doubts, like most start-ups experience. Success quickly followed after those first eight months, as Paper by FiftyThree quickly picked up steam. Over the last four years, they’ve experienced a number of successes and have expanded operations to now include two offices and multiple rounds of investor funding. Most recently, Paper has utilized the improvements made within iOS 8 to build an even more life-like Paper experience bringing true-to-the-touch response to its app. 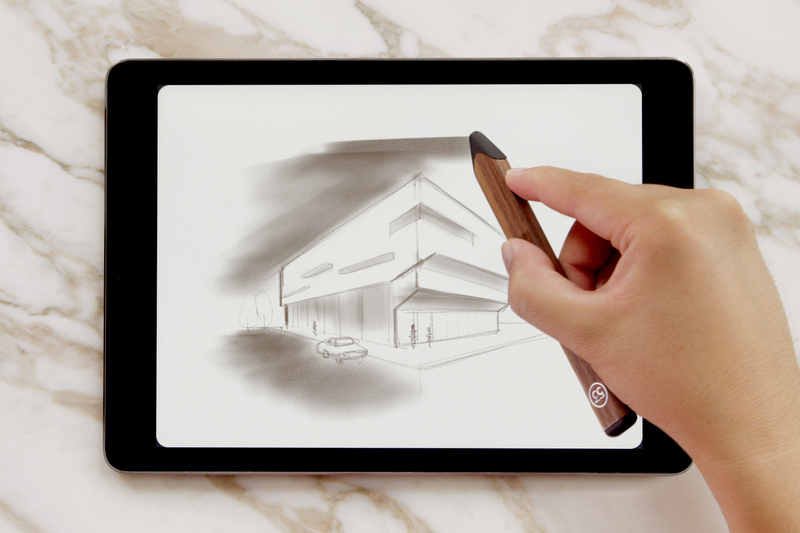 By utilizing the Pencil, released in 2013 by FiftyThree, artists, hobbyists and designers are able to feel that analog experience in a whole new way. FiftyThree has attracted a lot of talent along the way, bringing in others with big name company experience, such as Google, SONOS and Nike. However, FiftyThree has made a strong effort to maintain who they’ve been since the start, despite so much success. They’ve set out to create a different work atmosphere, highlighted by a 1-1 engineer to designer ratio that puts as much emphasis on the process as it does the final product. If you’ve never taken the time to use the Paper by FiftyThree app, I’d say you’re missing out on an experience. While it does not have all the qualities of an analog piece of paper, it has many features that make it a wonderful example of how our physical world can marry with the digital one. The biggest takeaway from getting to know FiftyThree is that its not just an app that you “get” from the App Store. There are genuinely great people behind it that are working to give you a true experience. Even if its not happening in a factory or leather goods shop, the people at FiftyThree are still following the American Dream. Creating products here in the States and providing jobs for those here in America along the way – you could say that it’s the digital American Dream. 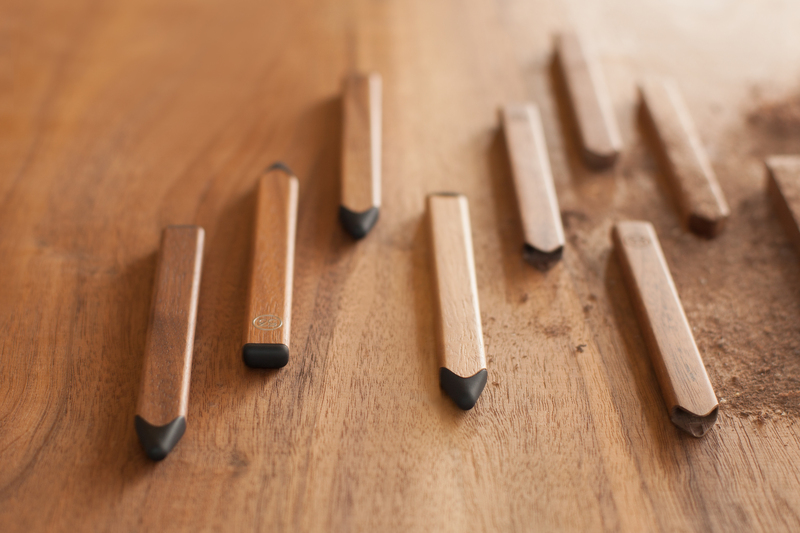 This week we’ll be giving away a Pencil by FiftyThree to two lucky winners. To enter this giveaway, follow @9to5Toys on Twitter and retweet the article. If Facebook is more your thing, Like us and share this article with your friends. Additionally, you can enter the giveaway by leaving a comment at the bottom of this article. We’ll choose three winners next Saturday. Good luck!